Have you ever noticed that after listing the infant’s name, birth weight and height, birth announcements typically end with “Mom and baby are doing well!”? That’s because the health and safety of the mom and baby are usually among the biggest concerns of your family and friends. Therefore it’s natural that when choosing a place to deliver your baby, one of the first questions you would ask yourself is, “is it safe?”. Luckily, there are hard working scientists and statisticians working to answer these questions. 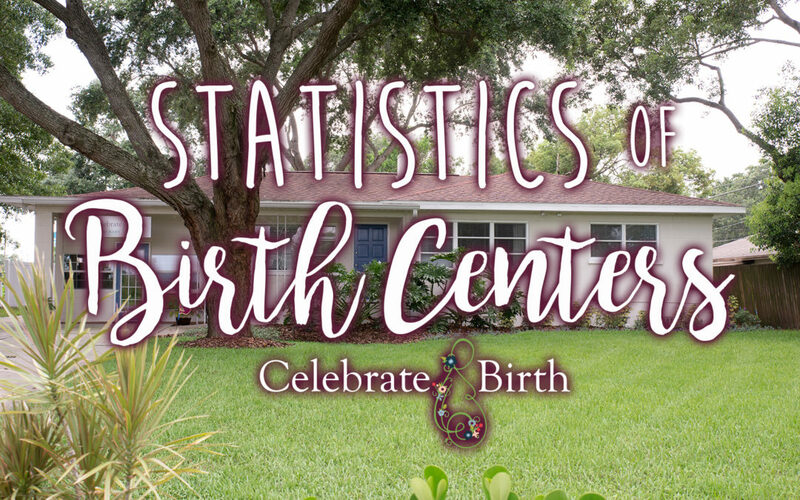 In 2013 a study called “The National Birth Center Study II” looked at low-risk moms who were delivering at either a birth center or a hospital. Among other things, the study found that 94% of women who planned to deliver at a birthing center ended up with a vaginal birth. This means that only 6% of these women had C-sections. In comparison, low-risk moms who enter the hospital have a C-section rate of around 27%. What the research ultimately found, was that while the hospital is still the most appropriate place for high risk moms and babies, that low risk births actually fair better in a birth center. Have you ever heard the phrase, “when you have a hammer, everything looks like a nail?” Well it turns out that this idea applies to hospital births. When you have a great deal of medical intervention at your fingertips you tend to use it. We are so thankful for these interventions for when mom or baby are in trouble, but they are often overused in low-risk births because they simply are not necessary. You are more likely to receive interventions that you don’t need (such a forceps, vacuum suction, additional tests and exams) during a hospital birth. Furthermore, the use of Pitocin, the artificial rupture of a woman’s bag of water, and the administration of epidurals are all common hospital procedures that can actually lead to the need for even more unnecessary interventions in low-risk births. In the end, it is important to remember that in a normal, low-risk, healthy birth the process is naturally uncomplicated and does not require any intervention. A birth center might just be the place to go to make sure it stays that way.